Disaster Risk Reduction and Climate Change. As the Millennium Development Goals (MDG) and Hyogo Framework of Action (HFA) came to end in 2015, discussions on measuring progress, defining new goals, targets and indicators and addressing key challenges and issues of the frameworks are advancing at a fast pace. The relationship between disaster risk and development has been increasingly recognized during the last decade. Disasters can reverse development gains and often have a devastating impact on poor people preventing them from building their resilience in risk prone areas. Three global frameworks were developed and agreed in 2015 to advance the global development agenda: Sustainable Development Goals (SDGs), Paris Agreement on Climate Change and Sendai Framework for Disaster Risk Reduction (SFDRR). For the first time, these three global frameworks are synchronized and developed with complementarity in mind. The work done in this regard laid a solid ground for further development of comprehensive holistic approach for integrating indicators and mainstreaming DRR and climate change in the overall development agenda of the country. UNDP and other UN Agencies played crucial role for strengthening DRR and CC capacities. The twin challenges of rapid urbanization and climate change are contributing to the increased vulnerability of cities to disaster and scarcity of resources in both developed and developing markets. Mr. Grigoryan is a Regional Cluster Leader - Climate Change/Disaster Resilience and Global Energy Policy Advisor for Europe and CIS region in UNDP’s Bureau for Policy and Programme Support. In this role, he oversees work on DRR, CC/A, Energy and Crisis Response, as well as risk integration and resilience. Mr. Grigoryan comes with over 20 years of experience in UN system on DRR at country, regional and global levels. 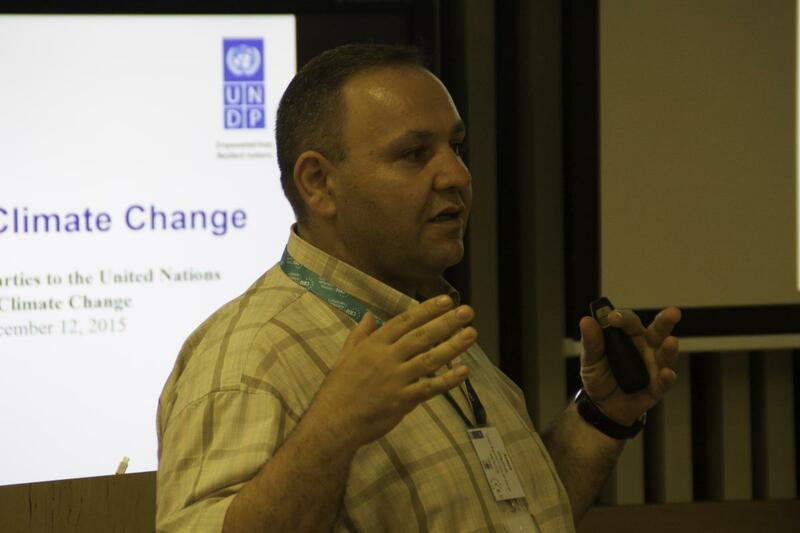 He has extensive work experience in working on DRR and Climate issues from previous assignments in UNDP (BCPR). His technical focus has been on Disaster Risk Reduction, Climate Change (Adaptation and Mitigation), Disaster Preparedness and Recovery, Energy, Humanitarian-Development nexus, Disaster Assessments - PDNA, sectoral DRR/CC such as Conflict and Disaster Interface, and Mine Action. Systems Laboratory and Department of Environmental Sciences and Policy organize a series of open lectures on Disaster Management and Risk Reduction at CEU. The lectures are conducted by practitioners from relevant organizations worldwide: UN agencies, national ministries, international NGOs, etc. Find out more about the CEU Open Lecture Series on Disaster Management and make sure to register to show your interest in attending the talk.